If you're a religious person, you've probably noticed it before. I see it written in articles, I hear it echoed by friends who don't believe in any particular religion: "I understand that some people believe in an afterlife because it brings them comfort" or some such variation. And I think I get it, I do. They're not trying to be condescending, just trying to make sense of it. To a person looking at a religion from the outside, it seems ridiculous. Incomprehensible. Why else would a person hold such far-fetched beliefs that can't even be proven by any conventional method, if not to fill some kind of emotional void? Truth be told, religion does fill a space inside you, but that's not why I believe in God. That's not why I believe anything I believe. To say I believe because it gives me happiness would be like saying I got married so I could have someone to fix things around the house. Of course I like the fact that Phillip knows his way around a toolbox and a roll of duct tape, but it's certainly not why I married him. The comfort and peace I get from my religion, like the handyman skills I so enjoy for free in my marriage, are only a pleasant side effect. They naturally flow from something much bigger than that. So if you're shaking your head because you just don't get it, here's why I believe. 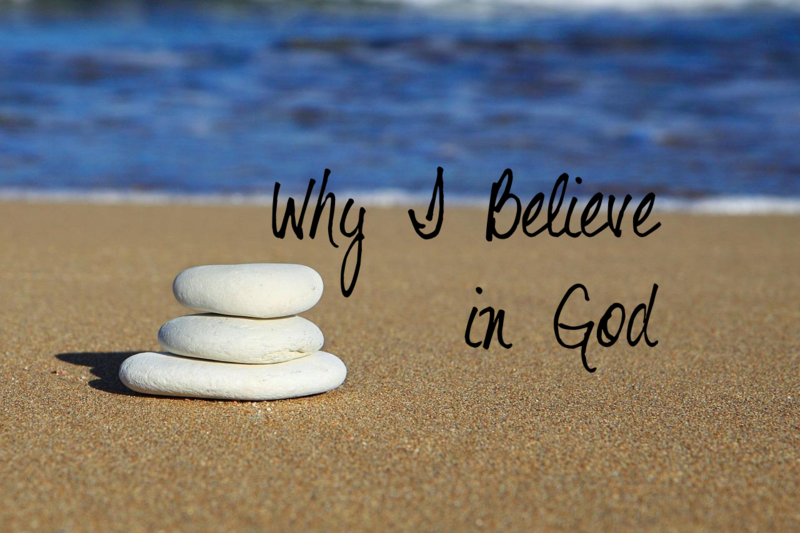 I believe in God for the same reasons you believe in your neighbor, or your kids' teacher, or your mailman: because he's there. You're completely free to disagree or think otherwise, but please know that my beliefs go much deeper than the fact that they make me feel better. I've received sufficient proof that God is real, through my experiences, and that's why I believe. It's true that many people initially come to religion because they were looking for a deeper meaning to their existence. Many people were first attracted to a faith because of the sense of peace they found in its teachings. But eventually, a conviction that it's true has to grow in their soul, or they won't stay there. No one can go on indefinitely believing that God is some happiness-dispensing candy machine that may or may not actually exist. I won't deny that my faith brings me comfort in a lot of different ways, but really, my feelings aren't especially relevant here. I believe simply because I think it's true. Well put: I believe simply because I think it's true. Love the simplicity of this. Thanks for sharing! I believe in God because the Bible says He's real. And I have met Him. Well said. God is my Guide and Friend. I believe in God because there is so much proof of His existence! And His existence answers the question I have had in me since I was five: why are we here? I love the book "I Don't Have Enough Faith to be an Atheist" because they lay out the main evidences for God in an easy to read manner. Also, I would be SO much worse off without Him! I have learnt that sometimes the answer to prayers is NO or NOT NOW and have the sweetest spiritual experiences in both sad and happy times, but now I have learnt to trust the Lord I am finding peace in my heart even in the midst of storms in my life. I've never heard of that book, I will have to check it out. Thanks! Thank you for sharing your story, Lynne! Everyone who comes to know God has such a personal story as to how it happened, I love hearing them.